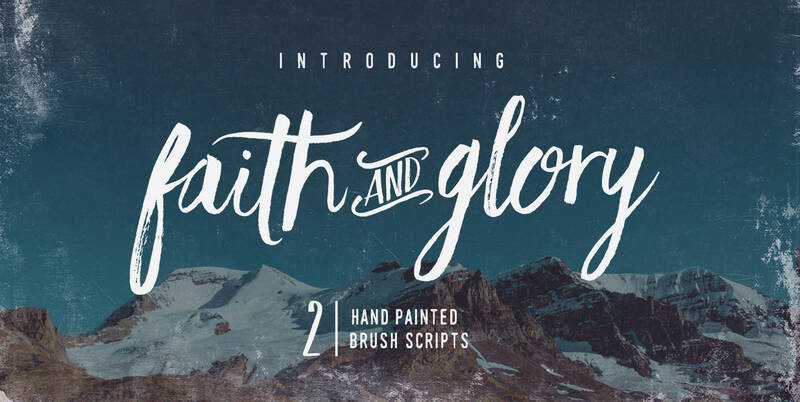 Faith and Glory is a set of 2 hand-painted brush fonts, designed to perfectly combine with one another and allow you to create beautiful typography with a personal touch. Faith and Glory comes with upper and lowercase characters as two separate fonts, punctuation, numerals, and supports international languages. Alternates are available for key characters, you can access these by switching between upper & lower case characters within the 2 fonts.